This is an ELPH you’ll want in your pocket every day: easy to use and sleekly stylish, the Canon PowerShot ELPH 115 16MP Digital Camera is equipped to turn any moment into a high-quality image. The bright, powerful 8x Optical Zoom with 28mm Wide-Angle lens takes you up close for detail and out wide for group shots, while the 16.0 Megapixel sensor and DIGIC 4 Image Processor deliver sharp resolution and beautifully accurate color. And now you’ll shoot longer thanks to the new ECO Mode, which reduces power consumption. Smart AUTO makes high quality easy in any situation by choosing optimal camera settings perfect for 32 recognized scenes. Your memories live on in sharp, true-to-life 720p HD video, and recording starts with a simple push of a button. 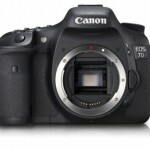 Intelligent IS eliminates blur by automatically choosing image stabilization that’s right for the shooting situation. 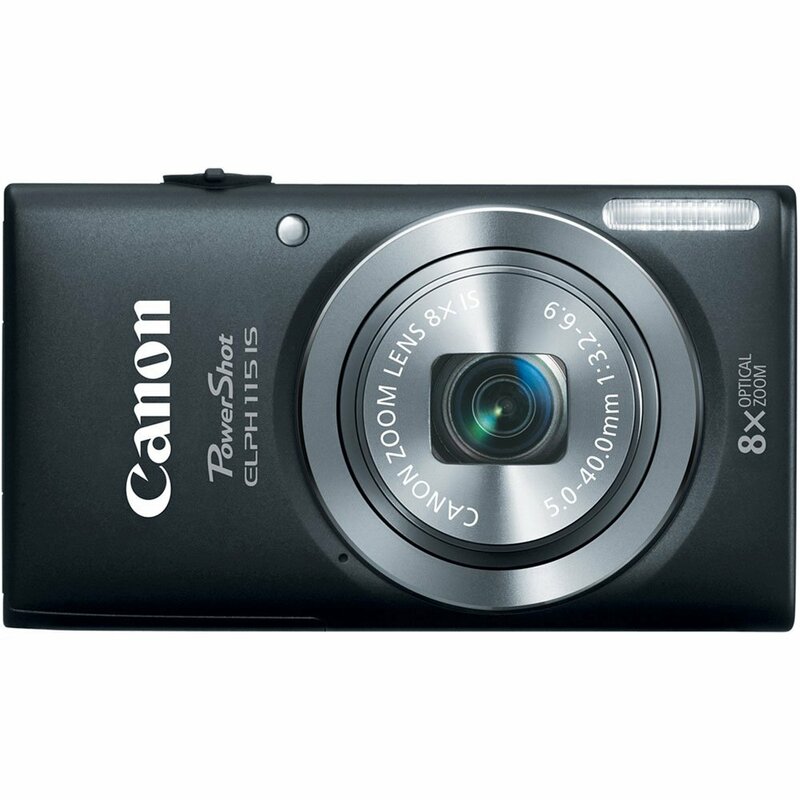 The Canon PowerShot ELPH 115 16MP Digital Camera features a powerful Genuine Canon 8x Zoom Lens that delivers outstanding optical performance and versatility. Fitting a high-performance lens with such wide zoom range into a camera so thin would normally be considered an impossible feat but Canon’s expert optical engineering met the challenge, developing a lens that achieves outstanding compactness with high zoom power and superb performance. 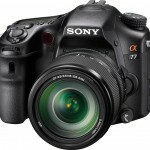 The zoom starts at 28mm wide-angle and extends to 224mm telephoto (35mm equivalent), covering an exceptionally wide range. The telephoto reach gives you the freedom to capture subjects from a considerable distance, while the 28mm wide-angle makes it easy to shoot sweeping landscapes, large groups of people and tall buildings. 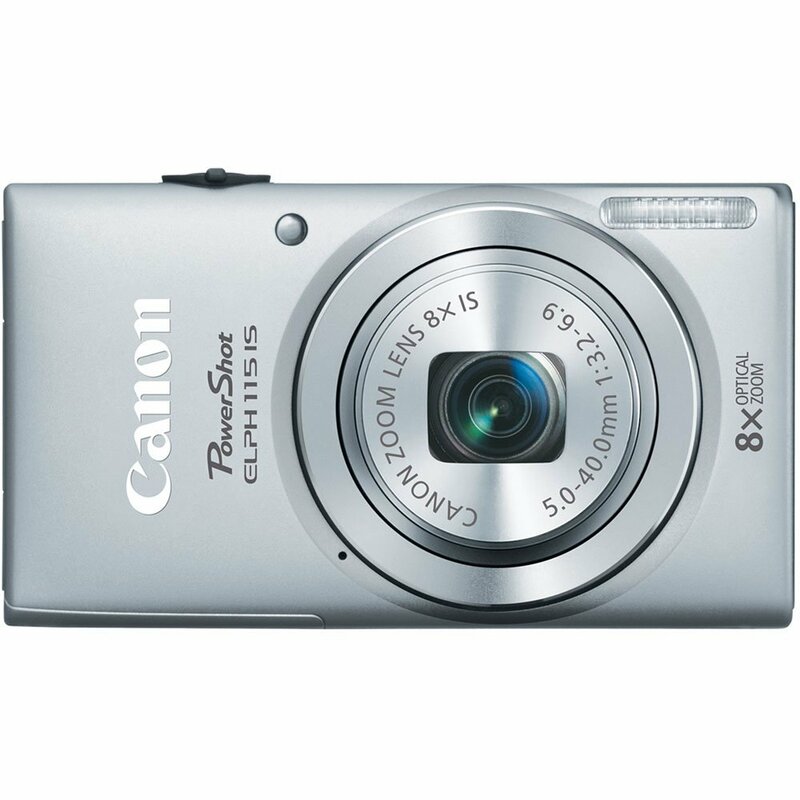 With the camera’s 16.0 Megapixels of resolution, your images are rich and clear, with textures and tiny details faithfully reproduced even at the long end of the big 8x Optical Zoom. This high level of resolution is ideal for creating the largest prints, and allows you the flexibility to blow up and crop any section of an image to express your creativity. The DIGIC 4 Image Processor powers the camera’s advanced systems and features, ensuring fast, reliable performance with low battery consumption. Photographers of all levels appreciate a camera – especially a go-anywhere compact digital – that takes the hassle out of capturing beautiful images. 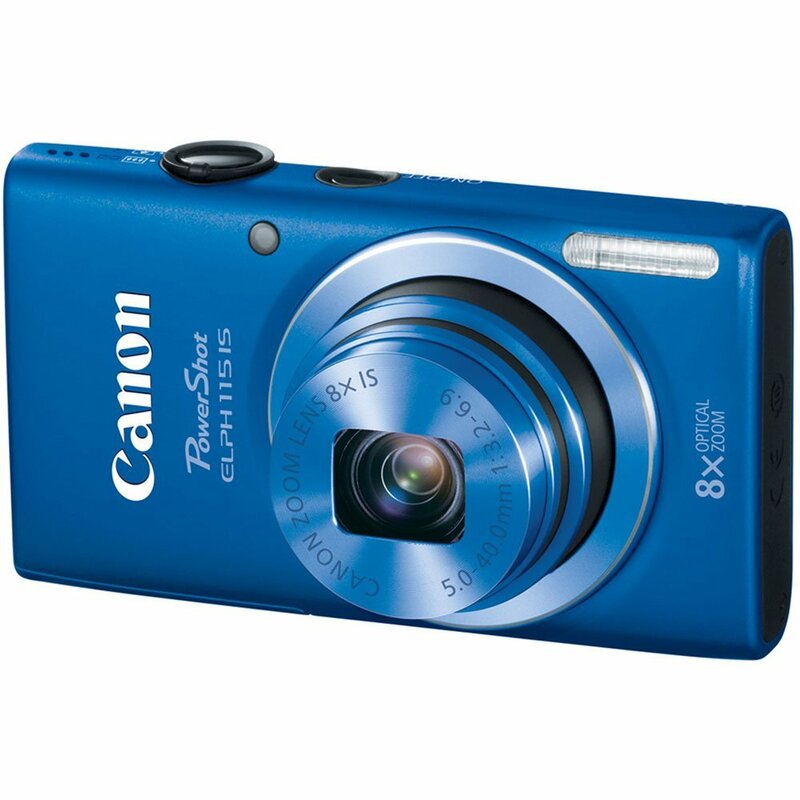 The PowerShot ELPH 115 IS digital camera gives you Smart AUTO – sophisticated Canon technology that makes getting that great shot as simple as pressing the shutter button. Smart AUTO automatically detects scenes by assessing various factors in both the background and the subject. Detected scenes are analyzed using 32 predefined shooting situations. 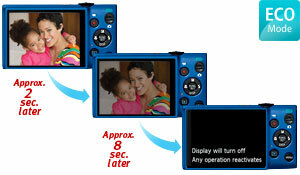 The camera then makes optimal settings to ensure the best possible image capture when shooting still images. Smart AUTO also includes Advanced Subject Detection, which allows the camera to detect and track non-human moving subjects like animals and vehicles. With Smart AUTO, all you have to do is frame your shot and capture away. You can shoot high definition video anytime, anywhere, with the pocket-sized PowerShot ELPH 115 IS. 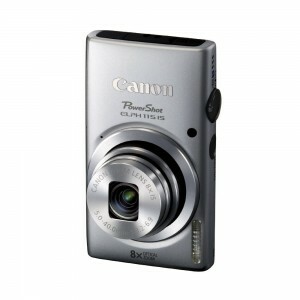 With a simple push of the dedicated movie button, you’ll be able to instantly record every moment in motion. 720p HD video is smooth, vivid, and beautifully lifelike, making it an ideal way to capture special memories. 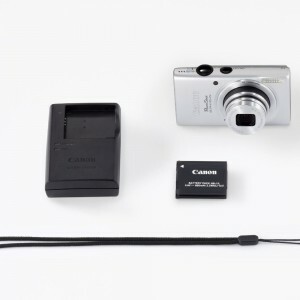 In addition to being able to shoot 720p HD video at 25 frames per second, the Canon PowerShot ELPH 115 16MP Digital Camera can also shoot 640 x 480 VGA video at 30* frames per second. It’s never been easier to shoot videos with a PowerShot digital camera. 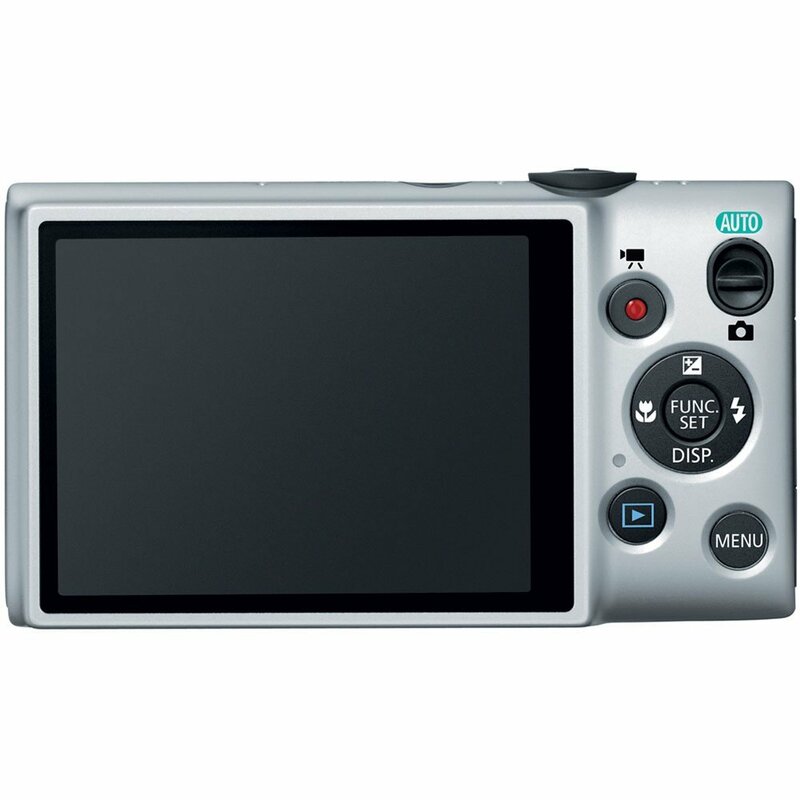 To make shooting video as natural as snapping pictures, the PowerShot ELPH 115 IS has a dedicated movie button. No need to plan ahead, no need to search through menus on the LCD screen; when you feel a moment would be best captured in 720p HD, simply press the button and recording begins. The camera is always ready to shoot stills or video whenever you want. It’s easy to capture clear, steady images with the PowerShot ELPH 115 IS, even in low light without using a tripod. 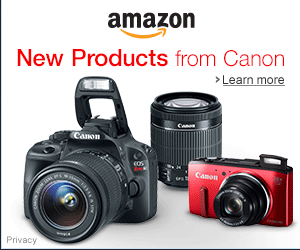 That’s because the camera is equipped with Canon’s innovative Intelligent IS. The system analyzes camera movement and applies the best shake correction method for the shooting situation – allowing you to focus on framing and capturing your shot. For stills, the system automatically selects among Normal, Panning, Macro (Hybrid) and Tripod IS modes. 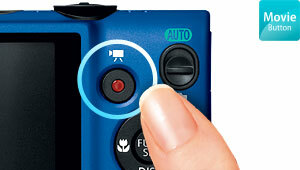 When shooting video, the system automatically selects among Dynamic, Powered, Macro and Tripod IS modes. 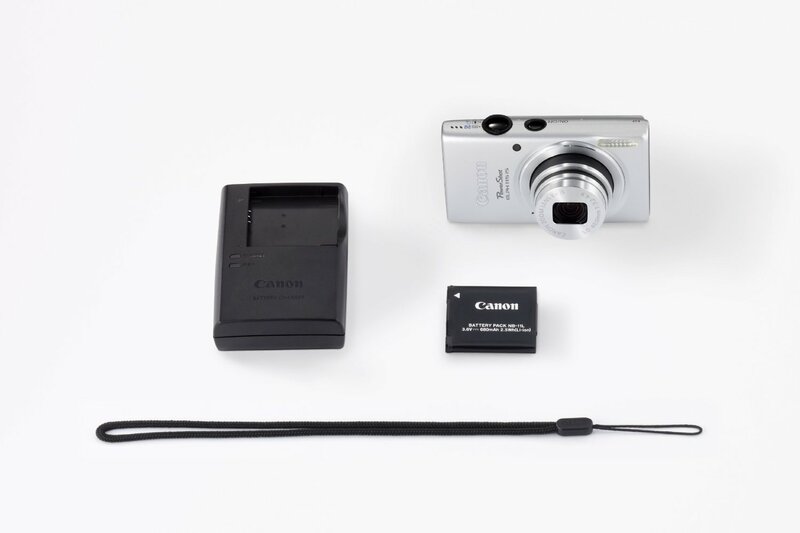 The Canon PowerShot ELPH 115 16MP Digital Camera takes energy conservation to the next level with ECO Mode, which provides more shots per single charge through LCD monitor and camera power management. ECO Mode can be activated for easy power preservation when an outlet is unavailable or the moment is too exciting to put the camera down. 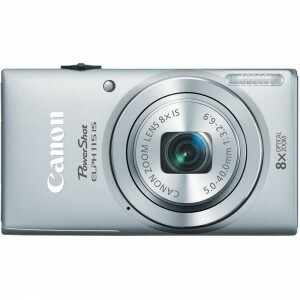 ECO Mode quickly wakes the camera from sleep when a button is pressed so you won’t miss the moment. When the fun with family and friends runs late into the evening, ECO Mode on the PowerShot ELPH 115 IS makes sure your camera keeps up. The Canon PowerShot ELPH 115 IS Compact Digital Camera with 16 megapixels is an ELPH you’ll want in your pocket every day. 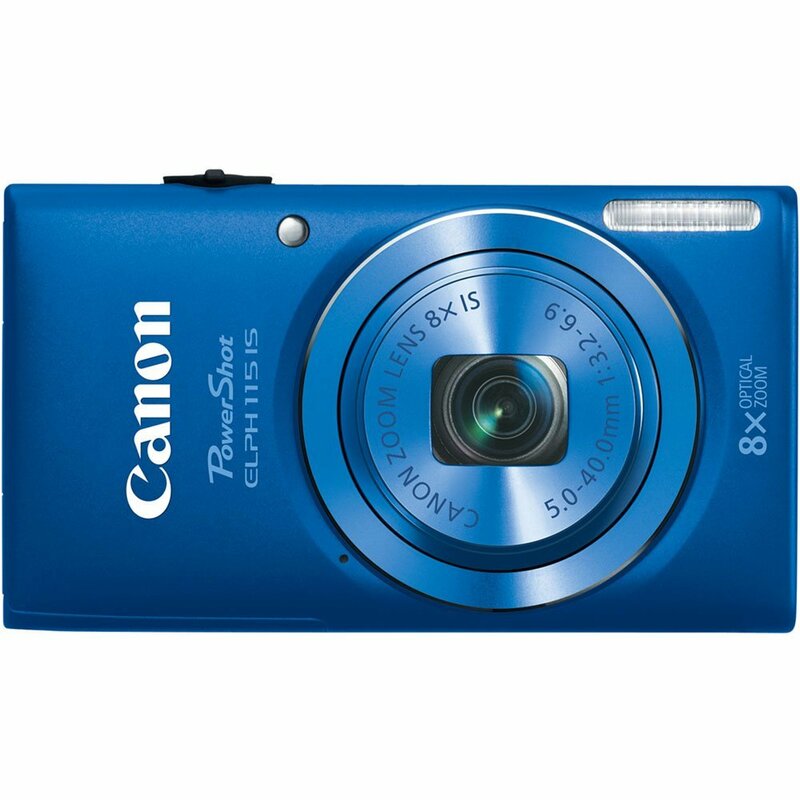 Easy to use and sleekly stylish, the Canon PowerShot ELPH 115 16MP Digital Camera is equipped to turn any moment into a high-quality image. The bright, powerful 8x Optical Zoom with 28mm Wide-Angle lens takes you up close for detail and out wide for group shots while the 16.0 Megapixel sensor and DIGIC 4 Image Processor deliver sharp resolution and beautifully accurate color. Plus now you’ll shoot longer thanks to the ECO Mode, which reduces power consumption. Smart AUTO makes high quality easy in any situation by choosing optimal camera settings perfect for 32 recognized scenes. 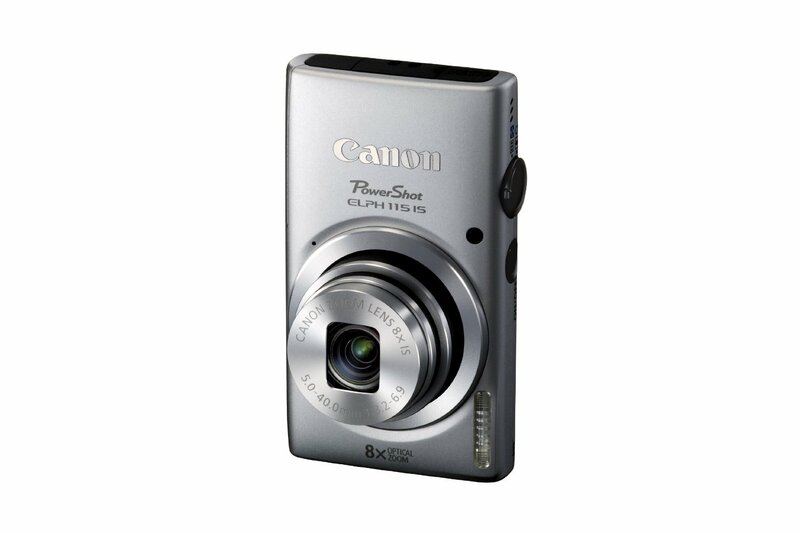 Your memories live on in sharp, true-to-life 720p HD video, and recording starts with a simple push of a button. 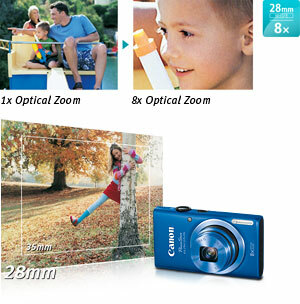 Intelligent IS eliminates blur by automatically choosing image stabilization that’s right for the shooting situation.